I'm Kelsey. I'm a 25-year old beauty addict from Massachusetts in the US. 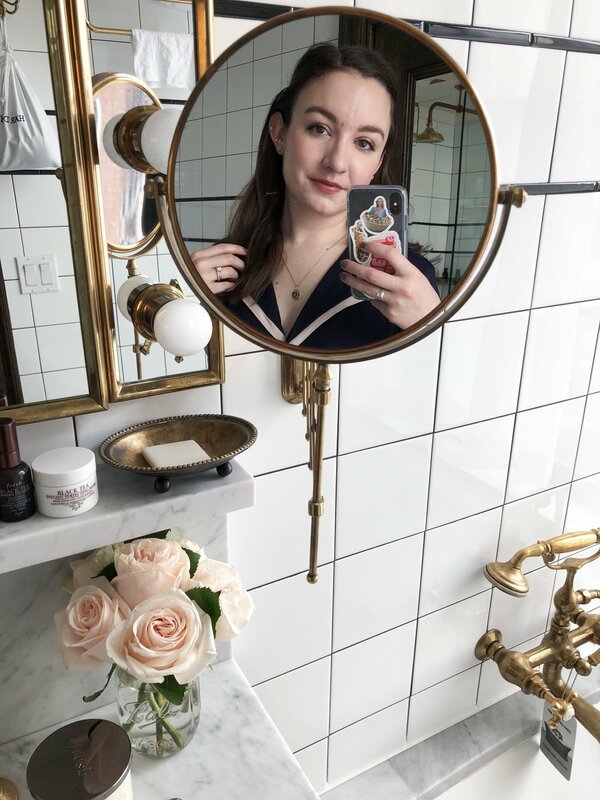 I graduated from Smith College with a degree in Chemistry in May 2014, and I think my love for all things scientific is what led me to discover my passion for beauty - I see testing new products and even putting my makeup on every day as an experiment. I love the transformative power of makeup as well as how put-together and chic it can make me feel on an everyday basis, and I really feel like I've started to really curate a collection with a cohesive theme and aesthetic that I'm proud of. My go-to products tend to be simple, understated, and yet still hardworking. You'll hear a lot about those kinds of products here as my everyday product-load ebbs and flows between minimal and more "glam" over time. I started Beauty by Kelsey in September 2014 after months of consideration, and I'm so glad I finally took the plunge - you could definitely say I've found my passion! New posts go live four times per week, on Tuesdays, Wednesdays, Thursdays, and Fridays at 7am EST. This is primarily a beauty blog, but you will see the odd lifestyle post thrown in every now and again to help you get to know me better. If you'd like to know more, you can email me at kdadmun92@gmail.com or visit my Contact page!